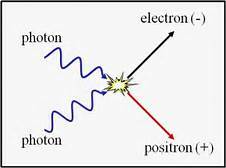 Now physics has moved forward creating Photons of Light that becomes tangible Matter. When the article “The Young Physicist Creating Matter From Light” landed in my news feed, I immediately paused normal life and began reading in great earnest. Here was someone who had done the impossible, or should I say, someone else who had also done the impossible by another method. I recall early in my Bio-Energy training speaking with Sifu Jones where he would share with me that eventually, the methodology he teaches will give the practitioner the ability to form a box out of the harnessed biophotons, suspend it in midair and watch someone react when smacking their head against it walking by. The same practitioner could also form the biophotons into a ball and literally throw said ball of energy at a person and they would react as though hit with a solid object – but it was an energy ball invisible to their naked eye. Using the quantum Hall effect, Jonathan Simon determined that it is possible to cause photons to behave along the same lines as electrons, forming atomically thin but coherent two dimensional objects. Think of this as an extremely thin sheet of paper made up of electrons (graphene) or, in this case, photons. But what exactly, is the quantum Hall effect? I was curious and began researching over the internet and came upon a YouTube Tutorial by Steven Girvin – a theoretical physicist at Yale University at the time of the recording. Dr. Girvin’s phrasing and selection of words excited me and I encourage 3rd and 4th year students to watch the video. You will immediately see the similarity of what Dr. Girvin is discussing and the specific forms in and around “circuit training”. Placing a magnetic field perpendicular to the current creates a voltage drop and, because of the angular velocities in play, vortices are formed. These vortices are “loops of current”, electric tornados, that can be moved, braided and used to store information. Cool stuff indeed. But what is this “voltage drop” and why do I want one? It seemed important but was glossed over as if “you understood”, and may have well been by Girvin’s audience. It turns out that a voltage drop is something that anyone engaging in energy work is secretly chasing. Most of us understand that water at high elevation can be used to do work. For example, the water above a dam is at higher elevation than the water below the dam, and that water can be used to turn electrical generators as it moves downward through the elevation change. The water above the dam has greater potential energy than the water below the dam, and it releases that energy for other purposes as it descends. The amount of energy delivered by each bit of water is precisely proportional to the elevation change that bit of water experiences. ‘Voltage drop’ refers to a similar process that occurs in electrical circuits. In circuits, flowing water is replaced by flowing electrical charge, also known as current, and elevation change is replaced by voltage drop. Each point in a circuit can be assigned a voltage that’s proportional to its ‘electrical elevation,’ so to speak. Voltage drop is simply the arithmetical difference between a higher voltage and a lower one. The amount of power (energy per second) delivered to a component in a circuit is equal to the voltage drop across that component’s terminals multiplied by the current flow through the component. I continued my research looking into ohms, amperes and volts, but marveled at the brilliance of Sifu Jones’ method and began to see with even more clarity the importance of the Tri-Concept guardrails. It’s one thing to generate flow patterns of biophotons across and throughout the body. It’s another thing to clump said biophotons into specific forms. It’s something completely different to deliberately and strategically form and place perpendicular forms that generate electromagnetic fields along and throughout the body so as to create voltage drops which in turn generate more current and cause an increase in angular velocity which in turn can be used to spawn a physical tornado of current. If you have not already done so, please reread the above paragraph and allow your mind to marvel at the complex set of events introduced by seemingly simply but critically specific exercises. Oh, and yes – the quantum Hall effect is also applicable to photons. Which is a triple bonus for those of us training in this method. 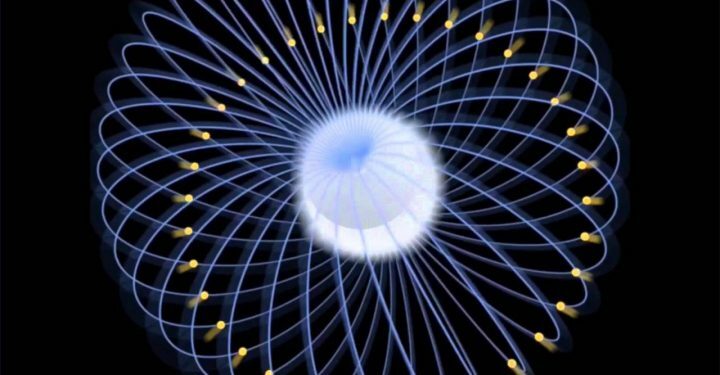 Forming electricity and generating large magnetic fields for increased voltage drops can only lead to forms getting more and more tangible our currents increase and the biophotons we harness become denser as we continue to train. Mind the guardrails. The Healing Tri-Concept Formula taught to each Chi Energy Student is not just a safety mechanism, it holds the environmental conditions for any of this to become more than a random possibility.